While there are still plenty of good times, backyard barbecues, and lazy days of lounging on your deck ahead, summer’s not going to last forever. Soon, the days will get shorter, the temperature will dip, and the kids will be off to school. Planning on getting deck restoration done? Don’t wait too long. Now is the perfect time to get started before the cold weather arrives. 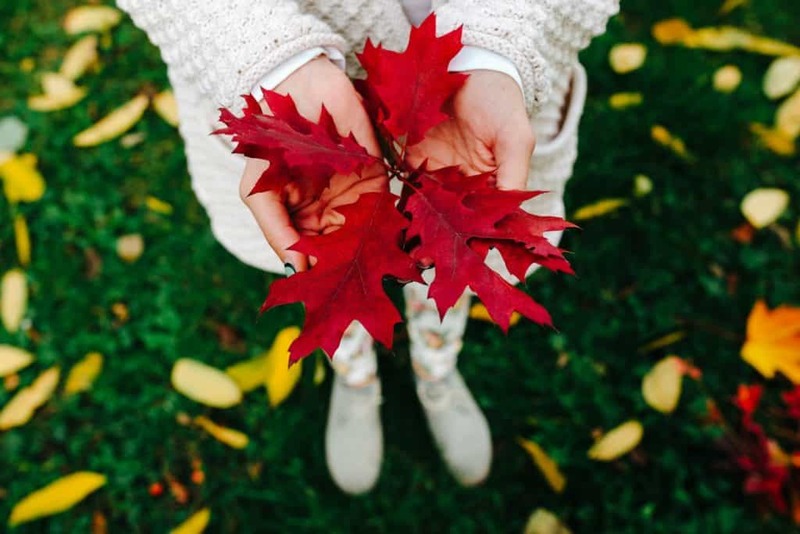 Here are some handy tips to get your deck ready for fall. Before deck restoration in Coquitlam begins, make sure to thoroughly clean your deck. Clean away leaves, twigs, and other debris that has accumulated over the summer. Low-power pressure washers, deck cleaning products, or a stiff brush with some cleaning solution should do the trick to remove dirt and grime from your flooring. Keeping your trees and hedges neat and tidy will not only make your yard look great, but also help to cut back on deck cleaning. You’ve just spent the entire afternoon scrubbing and washing your deck, and now it’s time to relax. But if you got a yard full overhanging branches, you’ll be back cleaning your deck before you’ve had a chance to put away the broom and hose. To help reduce your deck-sprucing duties, a little pruning now can save you loads of work later. The summer heat can wreak havoc on your deck. Do a thorough inspection of your deck and check for any damage to the flooring, steps, and railings. Once you’ve gone over your deck, make the necessary repairs—secure loose fasteners, repair cracks, sand down rough spots, and remove mold. So, you’re getting some deck restoration in Coquitlam done. Then, you’ll need to have the deck stripped before it is resurfaced. A chemical stripper should work well to remove the existing stain or membrane. Once the old stain is gone, your deck will be ready for resurfacing. Keep in mind, however, stripping a deck is not an easy task. It’s going to take time and effort to do it properly. If you can’t be bothered with the hassles of stain removal, it’s always a good idea to reach out to a deck restoration professional. Ready or not, fall is right around the corner. When it comes to deck restoration in Coquitlam, don’t put off tomorrow what you can do today. Before you know it, the cold weather will be here, and you’ll be kicking yourself, wondering why you didn’t prepare sooner. 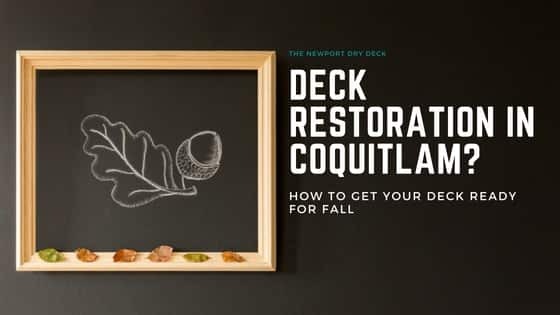 For quality deck restoration in Coquitlam, contact the Newport Dry Deck today!